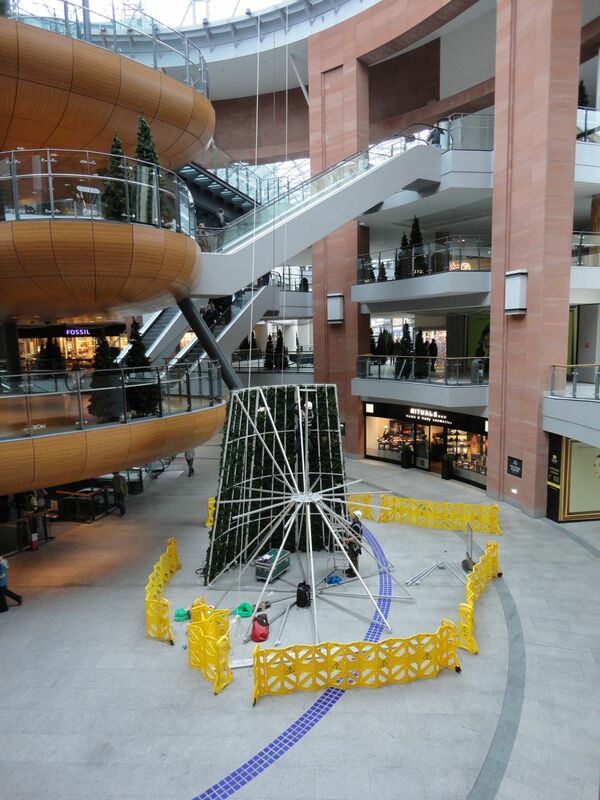 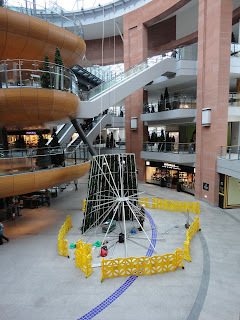 It's quite a task to construct the Victoria Square conical Christmas tree each year. 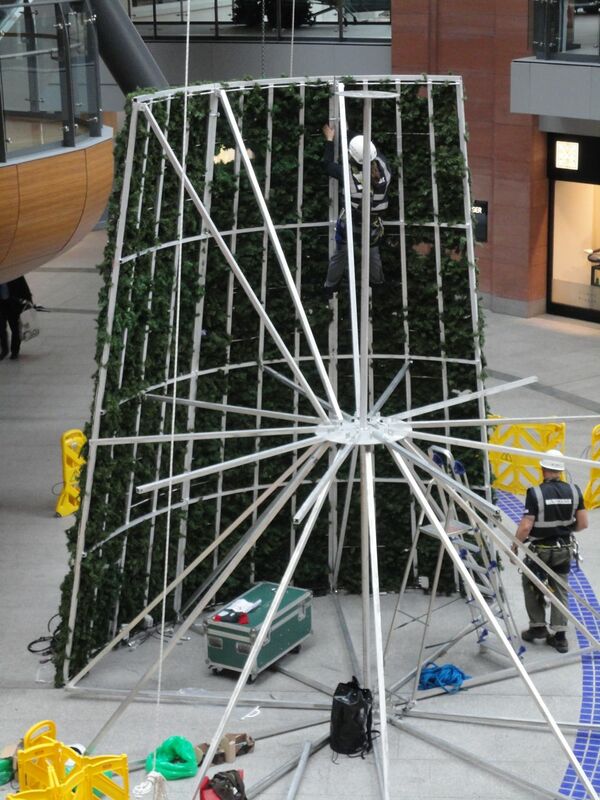 I wonder is there a little door at the bottom to let the team out once the last piece is screwed in from the inside?! 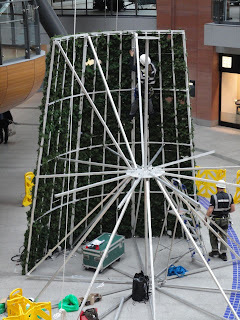 I expect it;s a bit early for the Ulster Reform Club to have theirs erected yet!